Employ Microsoft Hyper-V Virtualization technology to effortlessly management your gigantic workloads on a single server. BrainPulse has deployed the very competent and powerful Hyper-V Server, a hypervisor-based server virtualization product for server consolidation. The product displays great virtualization expertise by seamlessly consolidating massive workloads onto one physical server. Working with an extremely efficient technology, Hyper-V is widely known for its reliability, scalability and maximum virtualization competence. It runs on AMDV or Intel VT server chips and has helped a great count of companies with much improved server utilization at affordable rates. In addition, Hyper-V Server takes away the chaos of sharing hardware resources with other VMs as it renders complete separation from other virtual servers that run on the same physical server. Massive Memory: Hyper-V brings to you massive memory support. The highly advanced and technologically incredible server enables quick access to backup/restore tools. It also renders much improved balancing to keep your website up and running all the time. Flawless architecture: The attributes of incredible support, improved security and performance make Hyper-V Server highly competent to deliver world-class server architecture in India. Pleasing Operating System (OS) Support: Enable both 32 and 64-bit systems run on a range of server platforms such as Windows, Linux and others. 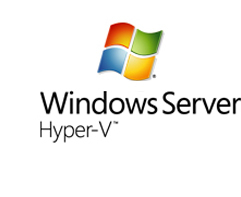 Microsoft Hyper-V Server Hosting will seamlessly allow multiple different operating systems to function simultaneously on the same physical server. Virtual Machine Snapshot: Users are allowed to take snapshots of a running machine. Snapshots help to get back to a previous state. The attribute helps with recoverability and overall data back-up. Scalability: Just the way it renders support for multiple processors and cores, it also offers incredible memory access in the virtual machines. Users may easily scale the virtualization environment vertically. To know more about Microsoft Hyper-V or other virtualization technologies such as VMware vSphere 4.0/4.1, Virtuozzo, please speak with our executives who will get you in touch with our technical experts. Our technical support team is always eager to resolve queries and answer questions from our clients. You may also read our web hosting services articles, knowledge base and other informative resources.